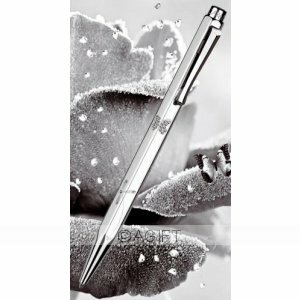 A delicate jewel and precious writing instrument, Ecridor Eclat "Jardin en Hiver" brings a breath of freshness and elegance, with a touch of lightness and fantasy to writing paper around the world. On the engraved flower petals and butterfly wings, 42 Swarovski crystals twinkle like a shower of sparks. 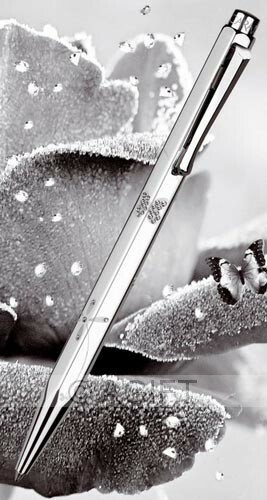 Set in sprinkles and blocks, the crystals create a playful light effect on the polished surfaces of the pen through their crystal and "black diamond" reflections and their different sizes. An elegant gift for someone who appreciates beauty and enjoys the exceptional. Ballpoint pen in a gift box.